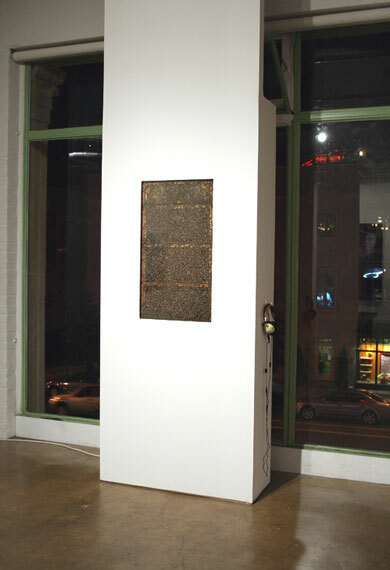 12’ x 40" x 36"
Hive Transmissions (9/13/08-10/13/08) positions the honeybee as performer. 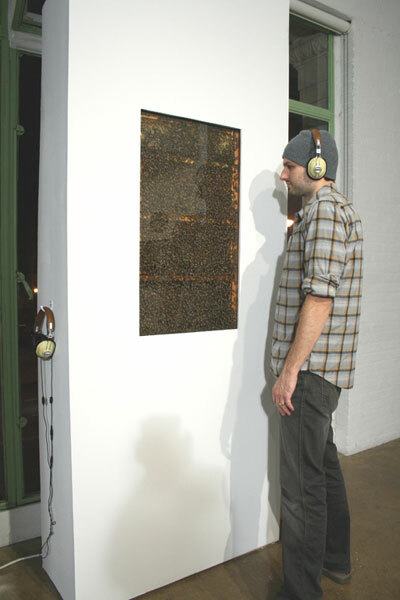 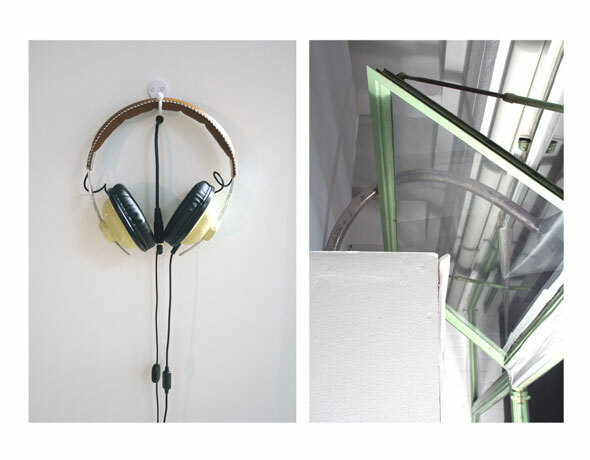 The bee hive is attached to a microphone and a system of sound processing equipment organized to receive and transform the sounds from the hive. 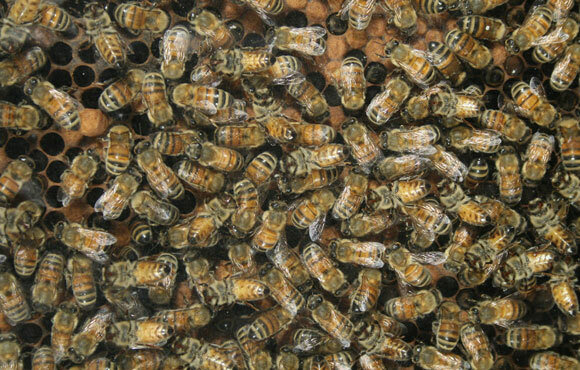 These sounds are taken in real time and interpreted through effect processors creating a transition from the agitated state of the hive to the serene yet complex sound environment emerging from the system. 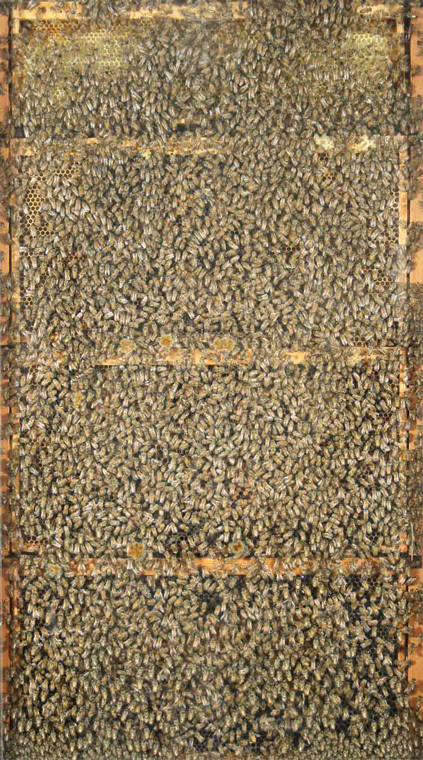 The bees essentially perform a one month long set of ambient electronic music born from the sounds circulating through the hive.